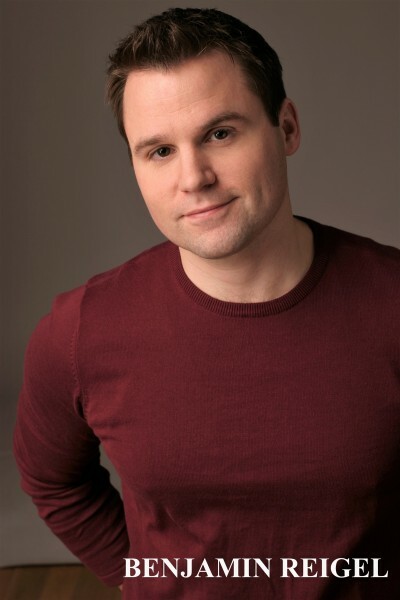 Benjamin Reigel is a professional actor, director, and fight choreographer, as well as a member of the performance faculty at Colorado Mesa University in Grand Junction. Originally from Wisconsin, Ben has lived and worked all over the country, and has scores of credits at theatres from coast to coast including Milwaukee Repertory Theatre, Oregon Shakespeare Festival, American Players Theatre, Utah Shakespeare Festival, DE’s Resident Ensemble Players, Mill Mountain Theatre, Maine Shakespeare Festival/Penobscot Theatre Company, Milwaukee Chamber Theatre, and many others. Recently credits include Tom in The Glass Menagerie, Karl/Steve in Clybourne Park, and Caleb in The Whipping Man (Farmers Alley), Marlowe in She Stoops to Conquer, Antonio in 12th Night, and Salisbury in King John (Michigan Shakespeare Festival), the title role in Hamlet (Backbone Ensemble), as well as directing Cyrano de Bergerac for the Texas Shakespeare Festival, and The Christians for the Aspen Fringe Festival. Before coming to Colorado, Ben taught for 5 years at Western Michigan University in Kalamazoo, and before that for 3 years at Shorter University in Rome, GA.
As an actor, director, and teacher, Ben is deeply committed to the works of Shakespeare. He has performed, directed, or choreographed over 50 productions of Shakespeare’s plays. Both in the classroom and in his professional work, Ben continues to test the teaching and performance opportunities made possible through a study of the First Folio texts, and an exploration of original Shakespearean practices. Ben earned his B.A. from the University of Minnesota in Minneapolis, and his M.F.A. from the University of Delaware’s Professional Theatre Training Program. Ben is a proud member of Actors’ Equity Association.